This high-performance economical unit is ideally suited for use in liquid electrostatic duplicating machines, humidifiers, advertising displays, office copying machines, photographic developing machines and similar applications. Rated at 15 watts, 1/200 HP. Impedence protected. Available high or low speed to meet application's flow requirements. Zinc diecast plate for tank mounting. 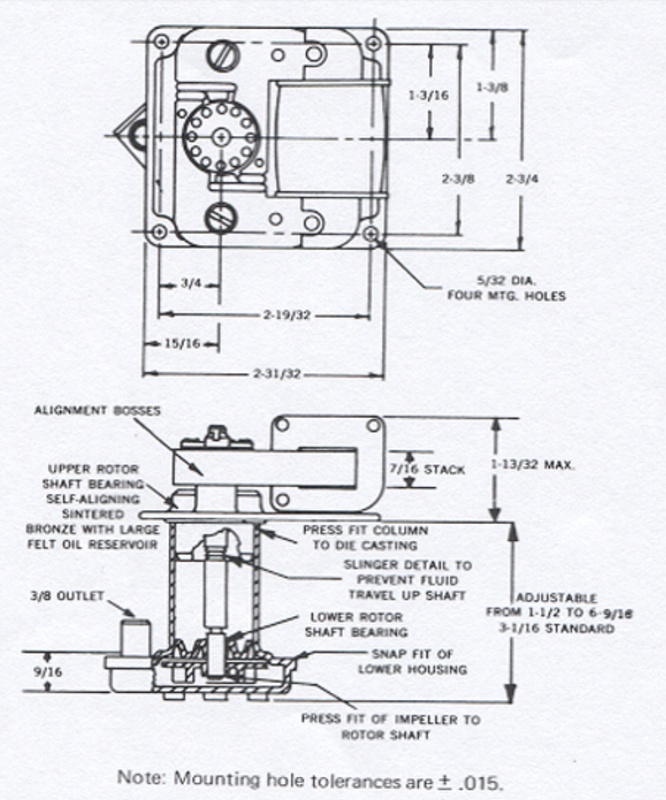 Drive shaft column allows pump outlet to function as required in any position in a 360° circle. 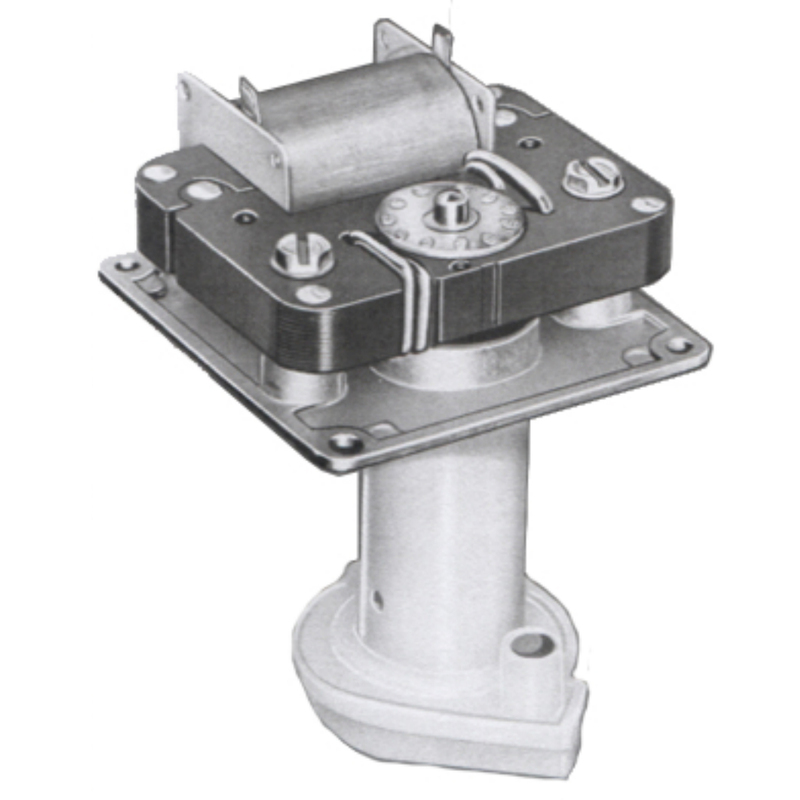 Column, housing, and self-cleaning impeller of molded Delrin. Outlets - standard vertical; single or double horizontal also available.